Online advertising is an excellent tool for gaining tremendous exposure to a highly motivated, targeted audience. While spending thousands of dollars on billboard or magazine ads is a sure way to reach a large audience, the majority of people who see those ads have no interest in the product at all. Individuals who visit this website, on the other hand, are interested in a particular niche. 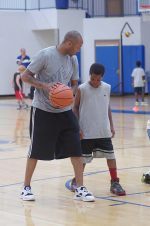 Our readers come looking for helpful information relating to youth basketball, basketball skill development, coaching, and working with young kids. They are more likely to click on relevant, well-placed ads they see here because they are searching for specific information, products, and services. Compared to other ad forms, online advertising is quite affordable and offers a lot of "bang for the buck". So why not put the power of the world-wide Web behind YOU to target profitable markets at a fraction of the cost? Why advertise on Youth Hoops 101? Our website offers a variety of unique, well-priced, and targeted advertising and sponsorship opportunities to help you expand your reach and visibility in the hugely popular basketball and youth sports market. Have people from around the world discover your business! Over the past 3 months (through January 2013), we have had more than 29,000 visitors a month read over 86,000 pages a month. That's a lot of eyes viewing a lot of pages! I started this website as a way to share my experience and passion as a basketball player and coach with other parents, coaches and players looking for helpful information relating to youth basketball coaching...free of charge. 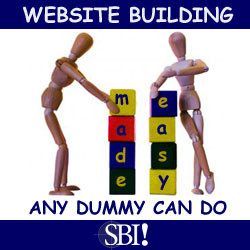 Maintaining a site of this size, however, isn't free, and I have realized that the only way to be able to keep it free for all of my visitors is to offer a few, high-quality, well-chosen partners the opportunity to advertise on this site. For my visitors, you will see that my goal is to provide sound information and recommend products that I have personally found helpful or that receive good recommendations from other users. I am selective with the ads I allow on this site and with the products I choose to promote. For potential advertisers, the most successful ads on this site offer something of value to an audience that is interested in the broad niche of basketball and the more specific niche of coaching young people and improving basketball skills. Typically, advertisers approach us with a specific marketing idea, but if you would like to see some ideas how you can advertise on YouthHoops101, we've provided some of the most popular options below. Choose specific keywords that appear within our site content, and we will set up direct links to your website from those words. Or, you can provide your own link(s) with a description of your site and we'll include it on the page(s) of your choice. Often placed below the navigation bar on the left side of the page, but may be placed anywhere you prefer based on your advertising budget and needs. Normally placed in the center column within the content body on the page(s) of your choice. Placed in the right hand column on the page(s) of your choice. This horizontal banner can be placed either at the top, bottom, or mid-way through the page. These are just some of the more popular options available. If you have other ideas, feel free to contact me via the form below. Let's work together to come up with a plan that works well for both of us. Site sponsorship is another advertising alternative that has the opportunity to yield outstanding results as your audience and exposure continues to grow. There are only a limited amount of sponsorships available, and only companies that provide excellent products, information, and services beneficial to our readers will be considered. Sponsorship ads will appear on our most popular pages and receive the highest viewing rates possible on this site. Additionally, an entire page can be dedicated to your business with an overview of your products or services. We are interested in partnering with valued advertisers who want quality traffic and are not trying to "buy a link" to improve page ranking with Google and other search engines. All links will include the rel="nofollow" attribute in compliance with Google's webmaster guidelines. If this idea is not agreeable to you, please do not contact us. YouthHoops101 reserves the sole right to decline any advertising and/or promotions deemed inappropriate or of little interest to the visitors of our site. All advertising and payment options are subject to availability. No ads on the Home page. If, at any time, you are not satisfied with our service or response, your pro-rated balance will be refunded upon requires, and we will remove your ad. Either party can cancel the agreement with a 30-day notice. We do not sell, exchange, or disclose your contact information to anyone. For more information or a formal advertising quote, please contact us.